Members of the Hollywood Patrol Division of the Los Angeles Police Department (LAPD) shot at and eventually apprehended an armed suspect following a well-coordinated pursuit. Dash cam footage captured the scene that included a potential hit-and-run, high-speed pursuit and multiple officers responding. The chase began when officers initiated a traffic stop of a black Range Rover spotted with paper plates. The driver, later identified as Harut Torossyan, stopped initially after seemingly hitting another vehicle. However, the video shows the suspect immediately flee at a high rate of speed. After encountering heavy traffic on the freeway, the suspect allegedly fled on foot, reportedly in possession of a handgun as he ran across lanes of traffic, according to a report released by the LAPD. It was then that officers engaged the threat, firing on the suspect, according to the report. Video shows another passenger in the vehicle, later identified as Freddrick Osorio, remaining on scene and surrendering peacefully without incident. However, Torossyan initiated a coordinated pursuit from officers, with the video clearly showing one officer calling for backup and air support, while a K-9 unit eventually joins the chase as well. Torossyan sustained a two grazing gunshot wounds to the top of his head and torso. Authorities took the suspect to a local hospital for treatment, according to LAPD. Officers found a semi-automatic handgun where the suspect was seen fleeing. Authorities charged Torossyan with Assault with a Deadly Weapon. Meanwhile, Osorio was booked for an unrelated, prior robbery, according to the report. According to LAPD, no officers sustained any injury during the pursuit and apprehension of the suspects. 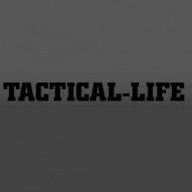 The post WATCH: LAPD Officers Engage, Apprehend Armed Suspect appeared first on Tactical Life Gun Magazine: Gun News and Gun Reviews.